Your ability to capture complex choreography will catapult your dancing to another level with the fast-paced Master Class taught by Complexions Contemporary Ballet’s founding artistic director Desmond Richardson. Class starts with a ballet warm-up and moves into original choreographic phrases by Mr. Richardson, who will challenge your body and mind to react quickly, take risks, and improve your dance technique. CCB’s athletic style of movement will make you wanna holler . . . for more! See Complexions Contemporary Ballet at The Joyce Theater February 19 – March 3, 2019. 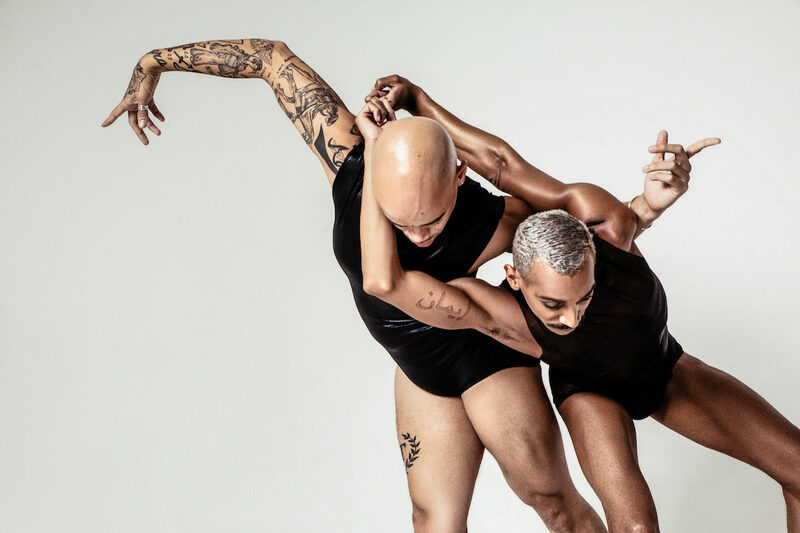 Founded in 1994 by master choreographer Dwight Rhoden and the legendary Desmond Richardson, Complexions’ foremost innovation is to remove boundaries, not reinforce them. The company blends methods, styles and cultures from across the globe, and the result is a continually evolving form of dance that reflects the movement of our world — and all its cultures — as an interrelated whole. Dwight Rhoden’s world premiere of WOKE – A Call to Action is a bold and dynamic socially conscious one act ballet that examines our humanity in conjunction with today’s political climate. This creation uses an ever-evolving plot line to examine the stories of our lives. WOKE is an intense physical narrative inspired by the enlightened awareness and challenging moral compass of today’s generation. (Co-Founder, Co-Artistic Director Complexions Contemporary Ballet), the first African-American principal dancer of American Ballet Theatre, received Tony Award nominations for his role in the original cast of Fosse on Broadway, as the principal character “Tony” in Twyla Tharp’s Broadway production Movin’ Out, making his Broadway singing debut in the Burt Bacharach/Hal David -Ann Reinking/ Scott Ellis Broadway production The Look Of Love, and as a standout in recent Tony Award-winning Broadway production After Midnight. In January 2016, he graced the cover of Dance Teacher Magazine. With his technical virtuosity and statuesque expressive demeanor, he has been hailed by The New York Times as among the great dancers of his time. Lara Hartley poetically described him on the Ballet Magazine website as “Moving Sculpture, a body that is art, passing through time and space with power and grace – all parts connected, never stopping but heart-stopping in beauty.” Mr. Richardson is currently guest artist in residence at the new Glorya Kaufman School of International Dance at University of Southern California in Los Angeles from a personal invitation from Ms. Kaufman. He is the visiting adjunct professor of Dance at Southern Methodist University.